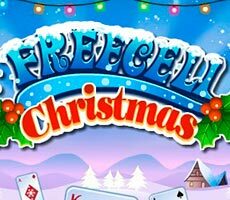 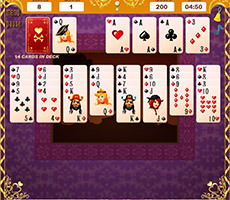 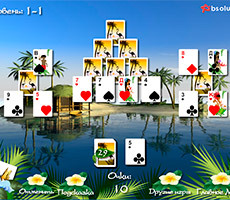 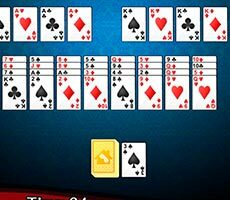 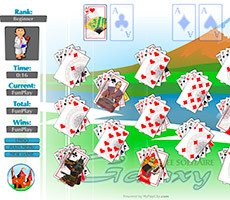 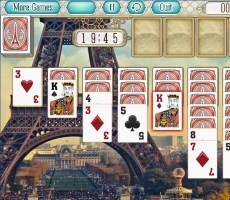 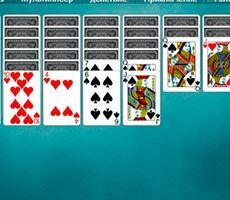 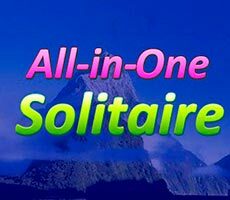 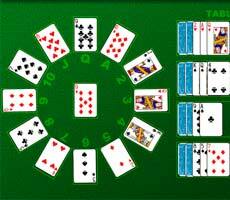 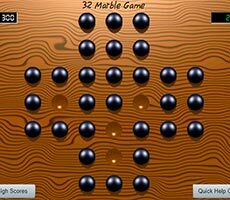 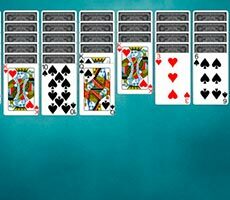 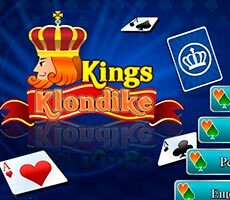 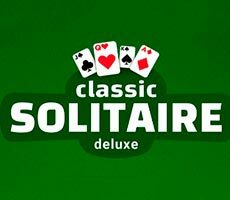 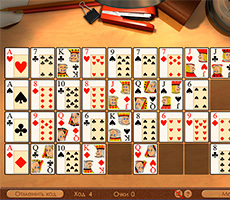 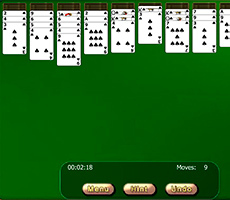 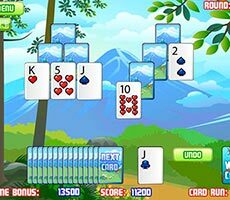 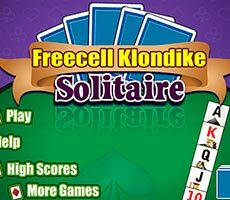 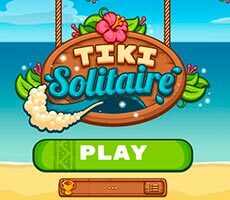 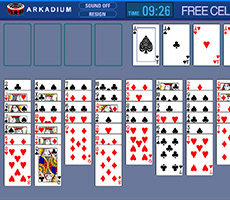 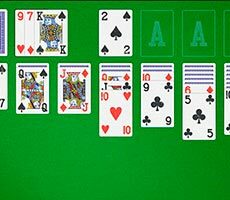 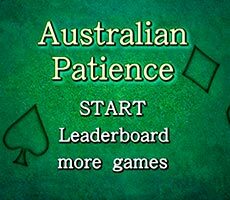 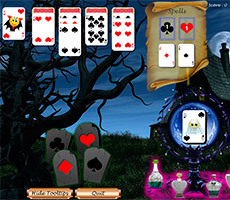 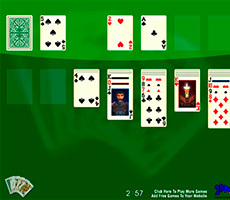 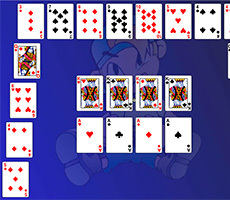 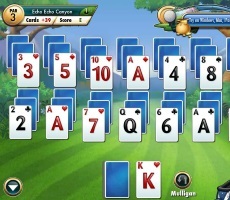 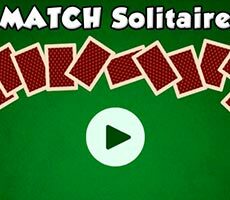 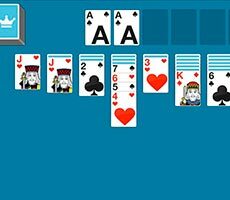 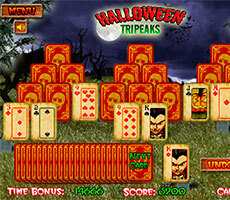 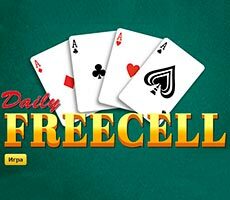 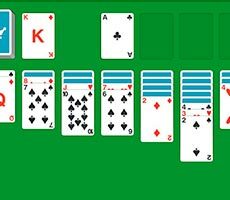 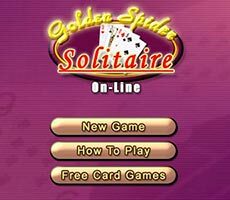 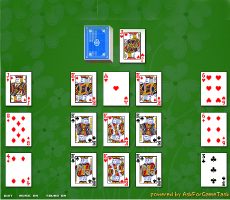 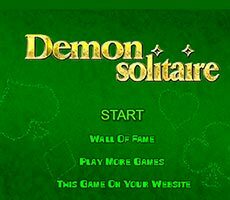 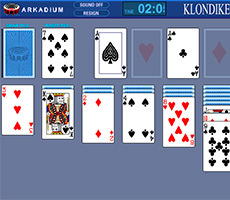 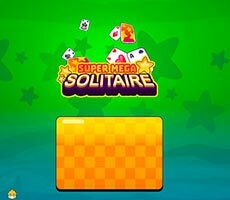 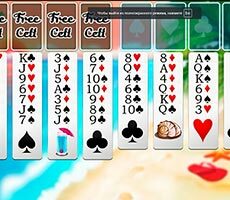 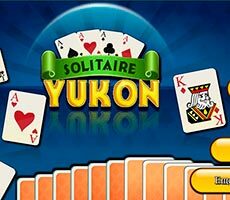 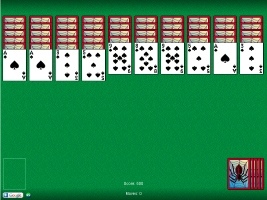 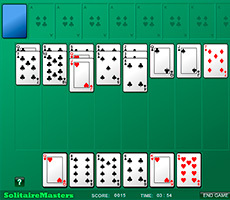 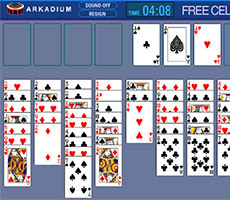 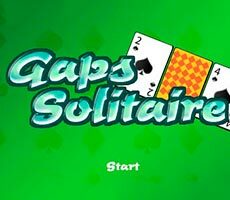 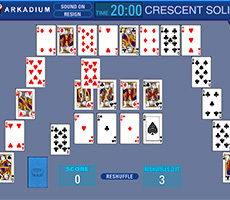 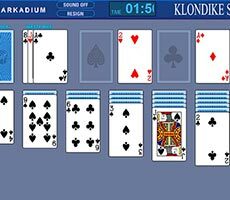 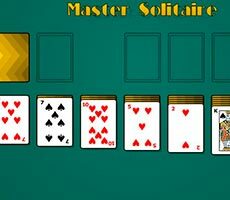 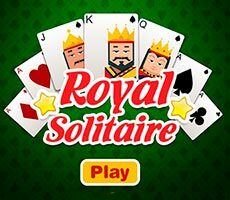 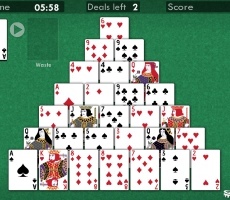 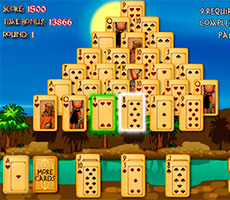 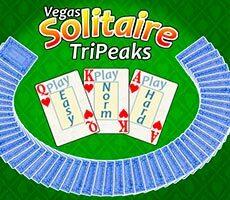 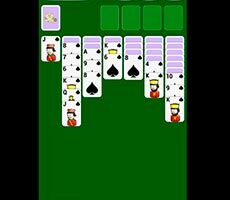 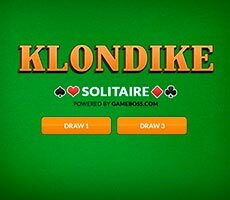 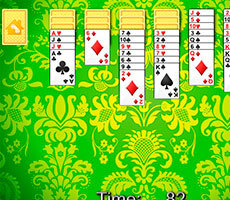 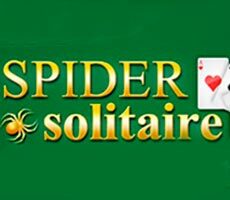 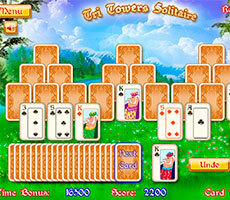 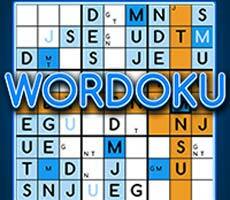 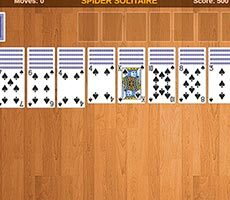 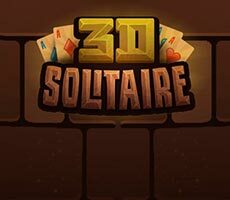 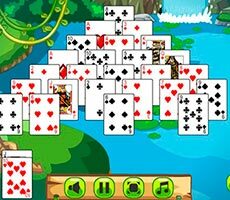 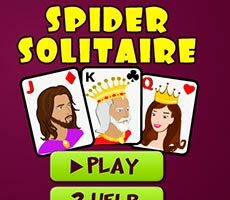 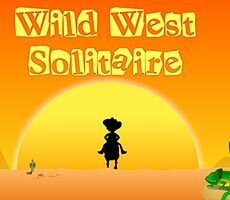 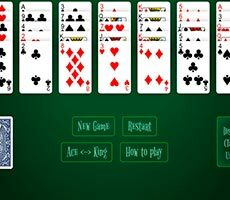 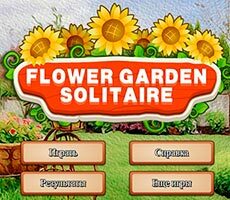 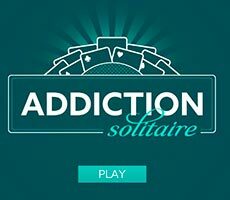 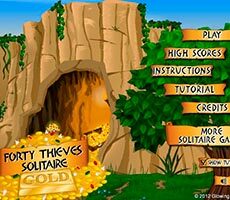 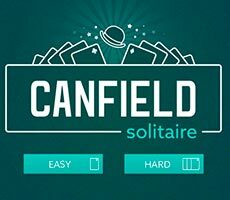 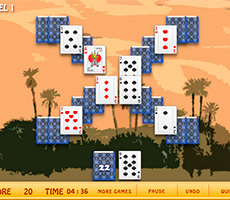 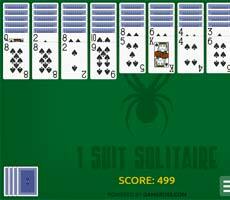 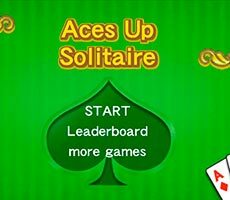 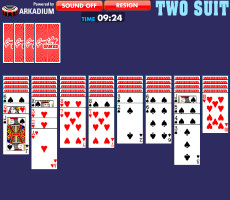 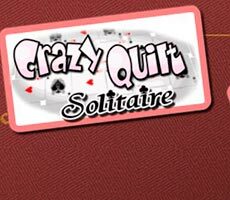 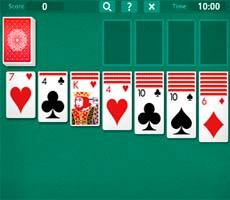 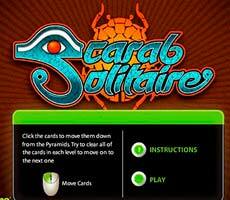 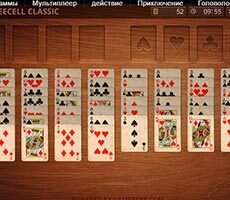 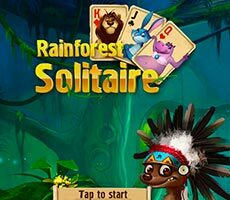 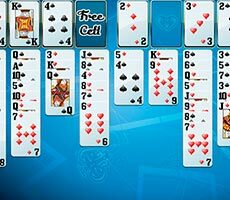 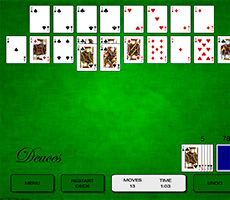 The «Klondike Yukon Solitaire» game is the real challenge for your attention skills. 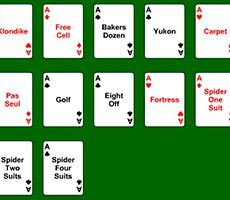 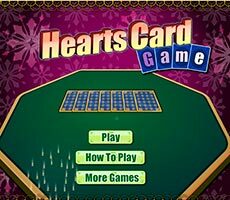 You have to play cards and try to collect all four suits, starting with the aces and finishing with the kings. 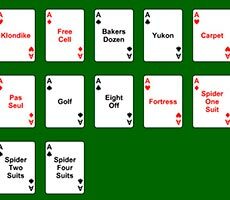 Your task is to search the necessary cards and shift them to houses. 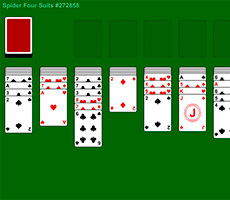 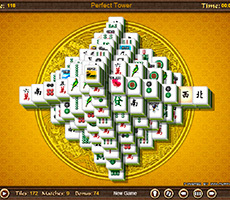 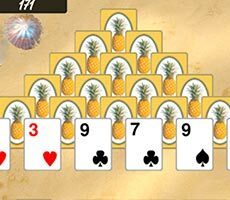 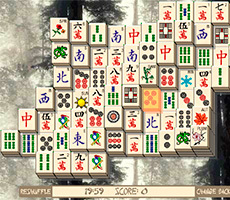 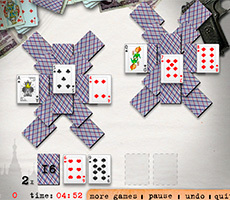 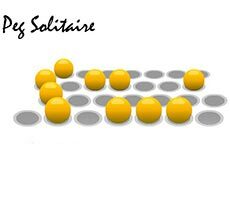 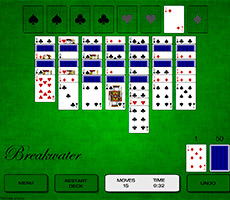 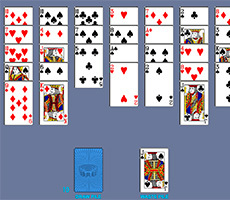 In this case, you can move the cards by one or in piles, as long as they lie on the higher card with alternating suit. 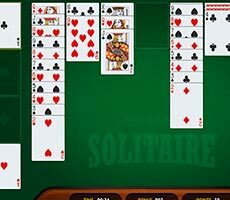 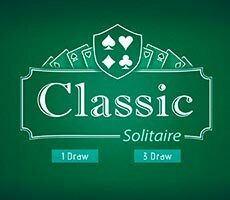 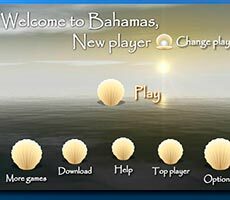 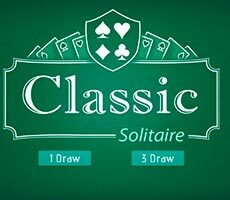 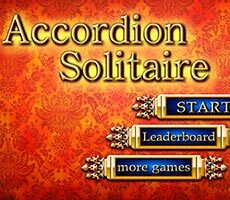 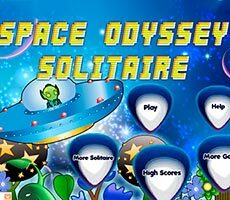 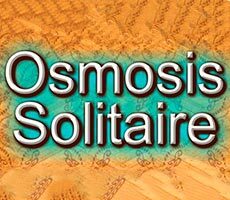 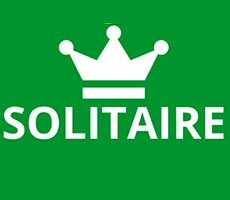 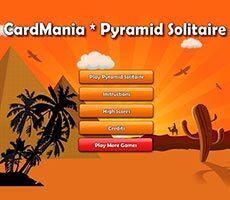 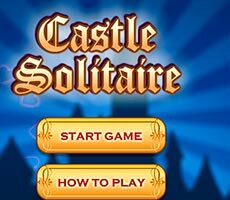 In order to win, you must stay focused and also pick up the pace, because you have only 10 minutes to complete the solitaire.